Our 11.1 V 15600MAH Li-Ion Battery Pack (Li111156C5) can be used in diverse industries â from hotels to hospitals, banks, marine, railways, defence, solar, etc. The battery is fabricated from premium components and materials, in compliance with the norms. It is rated high in efficiency and reliability. It is made to undergo various quality tests, which further reassure its quality when judged from any parameter. 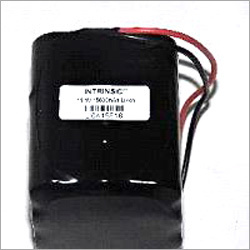 We are standing amid the notable Manufacturers, Exporters, and Suppliers of 11.1 V 15600MAH Li-Ion Battery Pack (Li111156C5) from Delhi, India.